Stranger Things star Millie Bobby Brown has opened up about her relationship with Drake. The pair met last year and Millie, who revealed she had a ‘fan girl moment’, said their friendship has blossomed since. 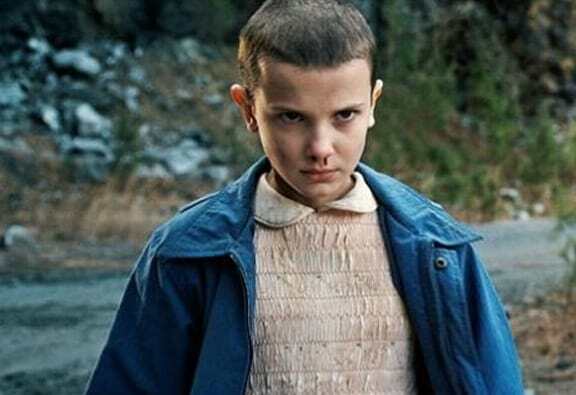 The actress, who plays character Eleven on the hit Netflix show, was talking to ExtraTV with Mark Wright and spoke about her relationship with the ‘Passionfruit’ singer. He’s just a great person. We met in Australia, and he asked me to go to his show, and it was probably the best live performance I’ve ever seen. You think he’s like Drake like, ‘I know when that Hotline Bling’, but he’s just Drake and he’s great. I have great people around me guiding me through this and he’s one of them. The 13-year-old also shared some words of wisdom, when responding to a question about the viral video of her having her head shaved in preparation to play Eleven before the show’s first season – something she called empowering. When I shaved my head, there was a lot of bullying going on toward me… It was a hard time for me, but when the show came out, everybody was like, ‘Shaved head is cool!’ — but [they] didn’t think that when it wasn’t out. It felt so right to me that I had to do it for the young girls to make them feel okay to be different, and be weird. Millie, along with the rest of the show’s cast, is due to head back to Atlanta to start filming Stranger Things season three, which she thinks will be the ‘best season yet’. In her romantic life, Millie is believed to be in a relationship with US singer Jacob Sartorius. Rumours began flying around not so long ago after they both started liking each other’s social media photos. He has more than 2.8 million subscribers on YouTube alone and is probably creating the type of music Justin Bieber would have put out a few years ago. Brown ‘confirmed’ the romance in her Instagram story with a picture of the two of them accompanied by love hearts. She also posted two photos of her hugging a giant teddy bear, which was apparently a gift from Sartorius.